This costume was a HUGE hit! 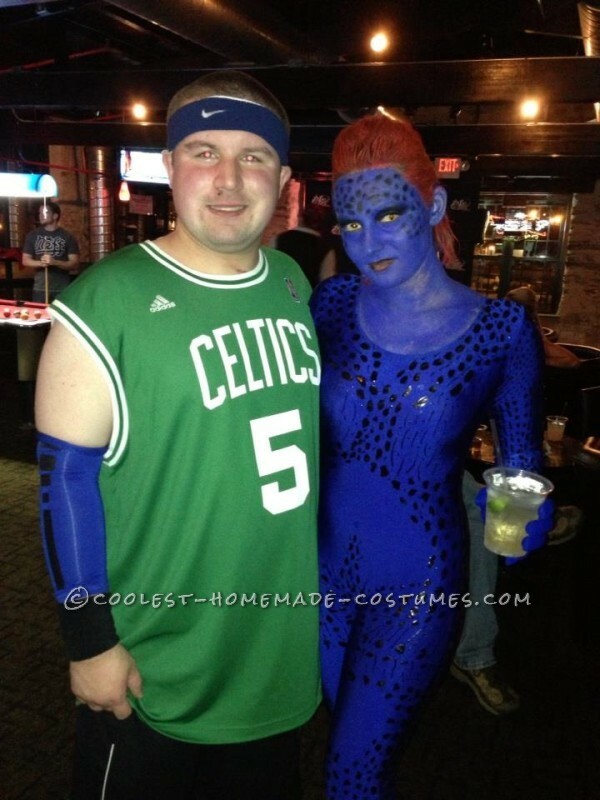 I went to a costume party at a bar and everyone wanted their picture taken with me! 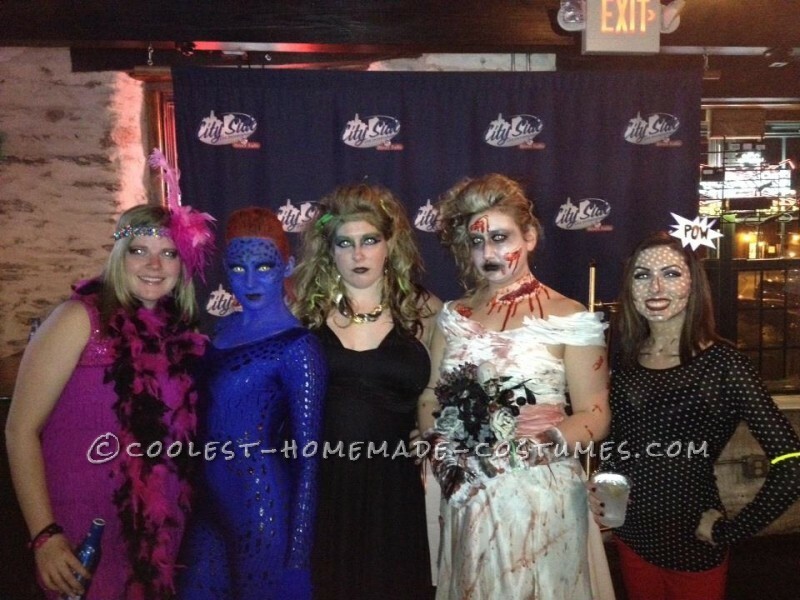 I ended up winning the costume contest and got $500! I bought a blue unitard online and bought black puff paint from a local craft store. This part took the longest. 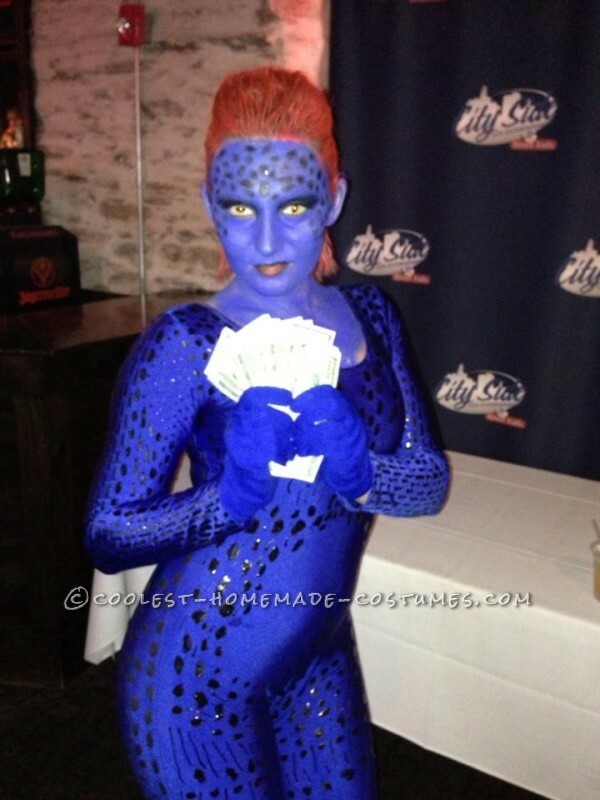 I looked at a picture of Mystique and tried copying her scales as close as I could. I had to do the unitard in sections different days to allow for drying time. Spray painted a pair of heels, and then covered my exposed body in blue paint. I also bought blue gloves. To make the scales on my face I used spirit gum to make them stick out a little, and painted black over them. 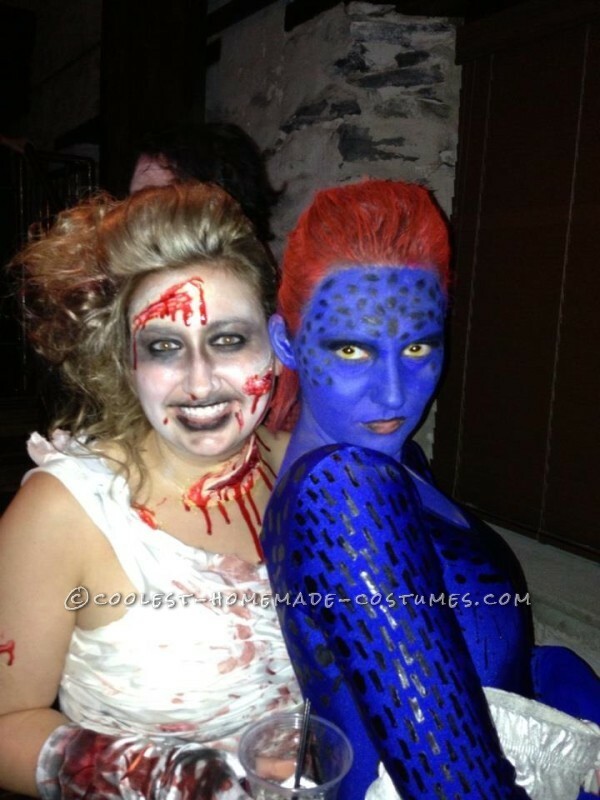 Yellow contact lenses and sprayed my hair red and BAM I was Mystique! This was epic!